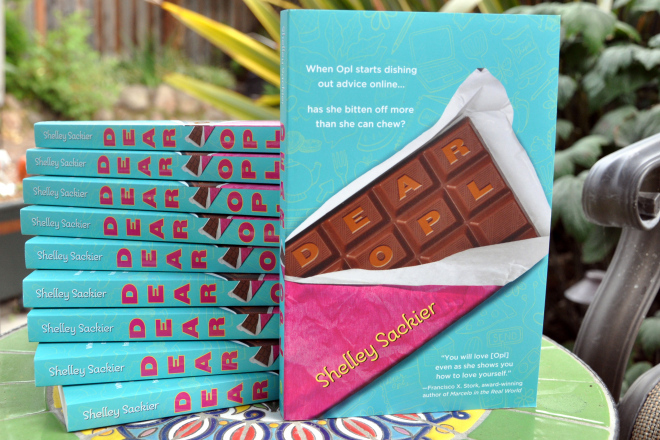 My kind and generous friend Alys, of Gardening Nirvana wrote a lovely post about incredibly talented Shelley from Peak Perspective, and about Shelley’s new book, Dear Opl! Please, please read this post to learn more about both of these women that I am blessed to call friend. My pre-ordered copies of Dear Opl arrived this week. It was great fun opening the box. I finally had my hands on this gem of a book, penned by Shelley Sackier of Peak Perspective. This entry was posted in Blogging, Books, Friends and tagged Blogging Friends, Book Review, Dear Opl, Health, Humor, Shelley Sackier, Young Adult Fiction. Bookmark the permalink. Well now my interest is totally peaked. I’ll check it out! Thanks Noelle! Let me know what you think. We’re so excited for Shelley! Aw, Laurie, you really are a superstar. How kind of you to post this bit. Here’s me sending internet hugs, even though we’re practically spitting distance neighbors.